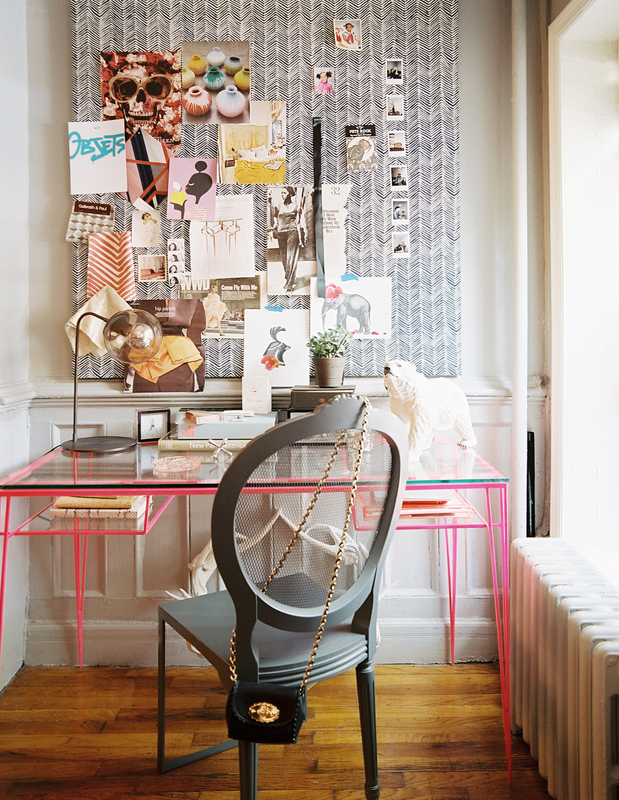 Sharing with you this super gorgeous workspace found via Lonny Mag. I love the small pop of neon and the patterned inspiration board (and the elephants on it). This space looks crips, clean and ready for some creative juices! Oh I LOVE that table! What a fun way to spice up a room!